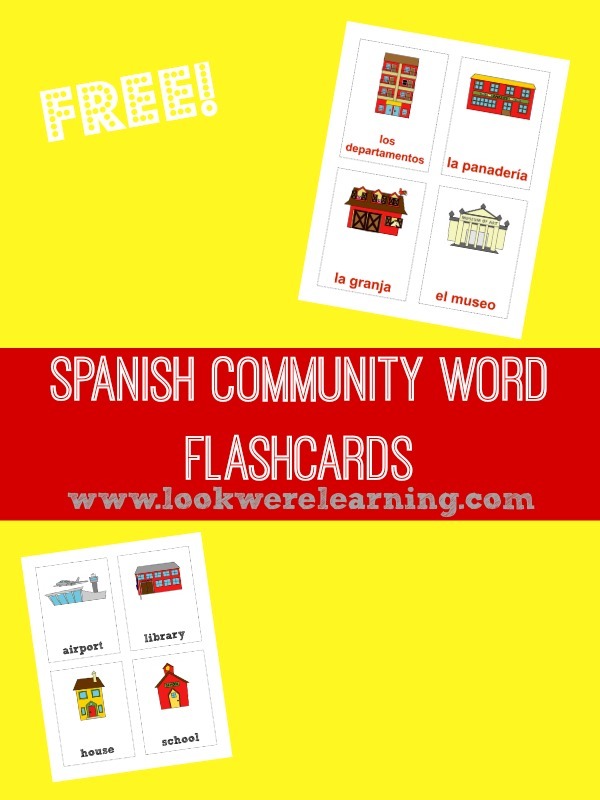 Printable Spanish Community Words Flashcards - Look! We're Learning! Learning about the community is a big part of preschool education. Remember when you were in nursery school and you learned about “community helpers”? It’s also a key part of learning a foreign language. After all, you live in your community, so learning how to talk about it in your new language can really boost your vocabulary skills. 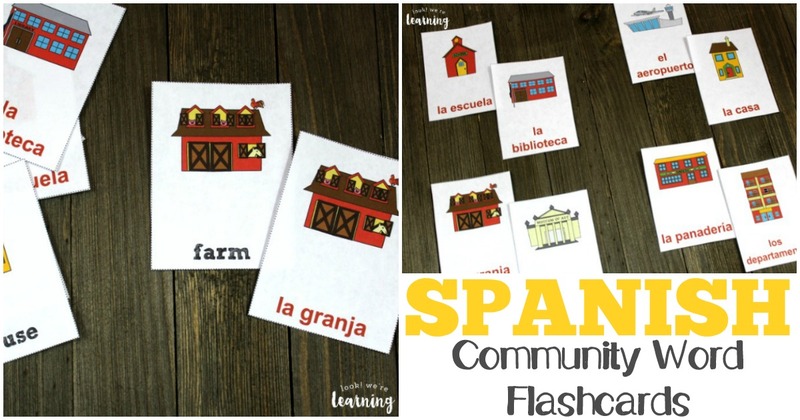 So I’m excited to share our newest set of printable Spanish flashcards: Spanish Community Words Flashcards! 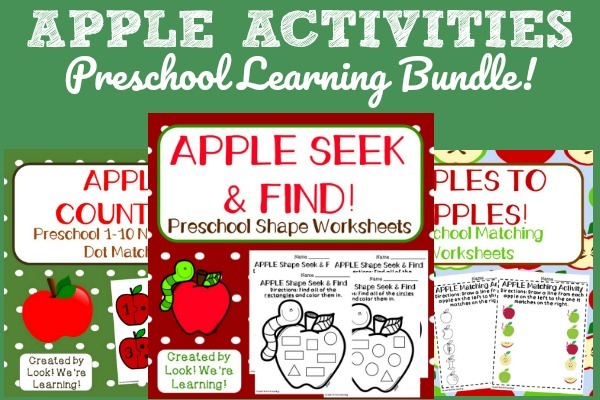 These are great for kids and adults alike! And, since they come with a pronunciation guide, you and the children will be able to practice reading and saying each word. Want more practice talking about community helpers in Spanish? 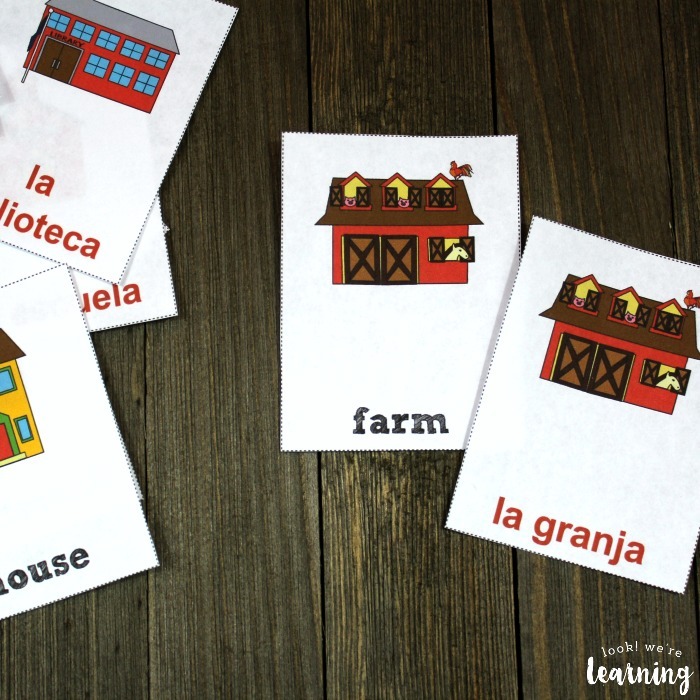 Don’t miss our printable Spanish community helpers lesson! There’s also a Spanish pronunciation guide to help you get used to saying the Spanish phrases! 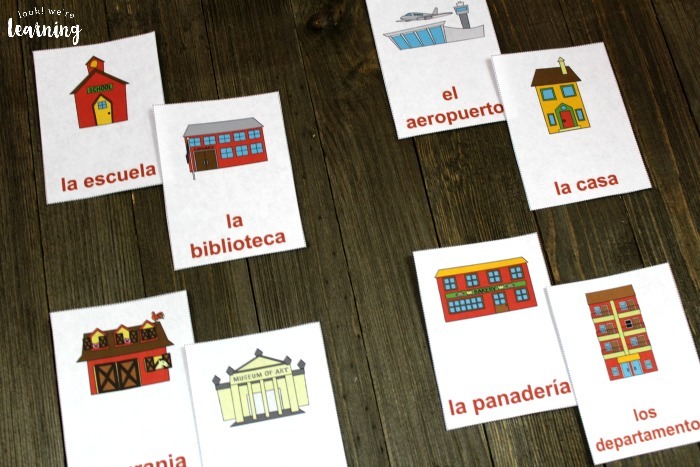 Use one set to help kids identify each building or place in their native language. Then use the second set to introduce the new vocabulary. You can even play a matching game! 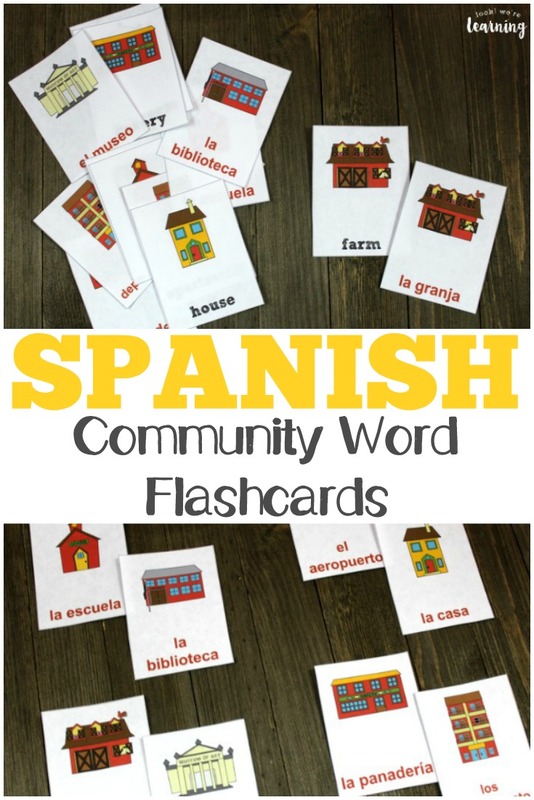 Scroll down to get your Spanish Community Words Flashcards! 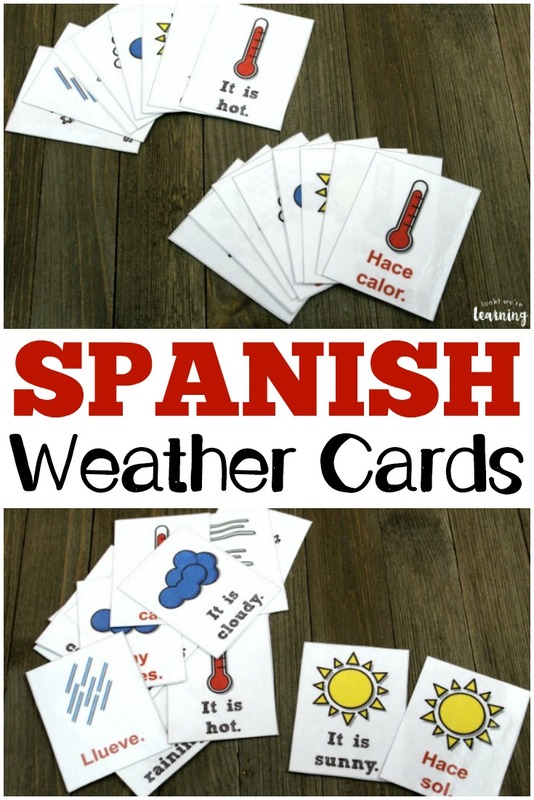 Don’t miss some of our other printable Spanish flashcards! 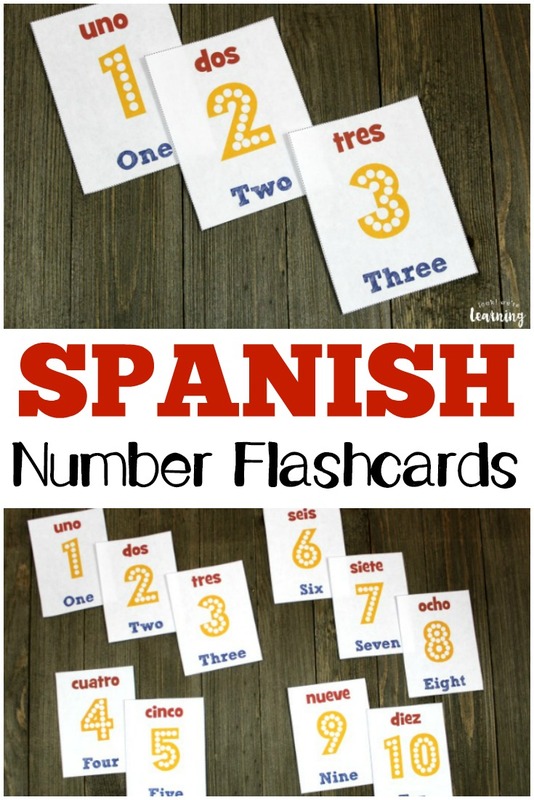 If you want even more help to learn Spanish, try these great Spanish learning resources! 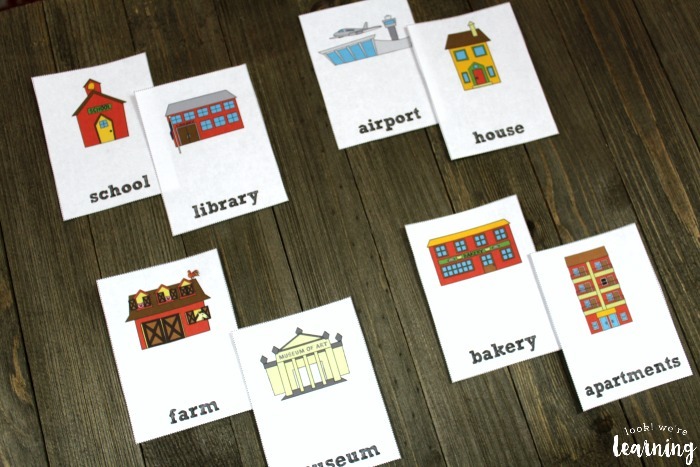 See more printable resources on my Homeschool Printables Pinterest board! 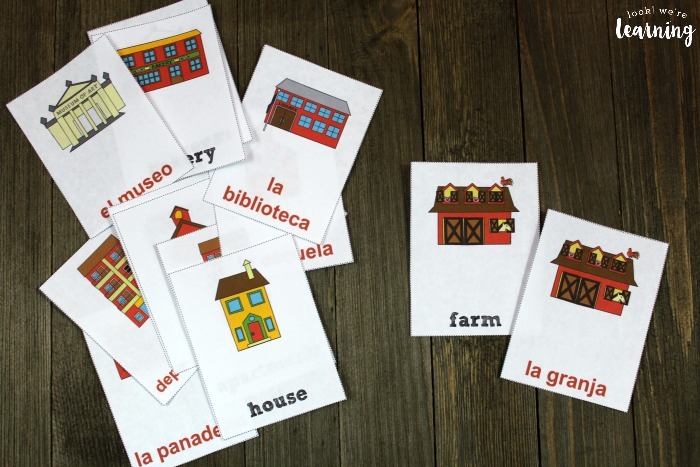 To get your set of our Spanish Community Words Flashcards, sign up for our email newsletter! 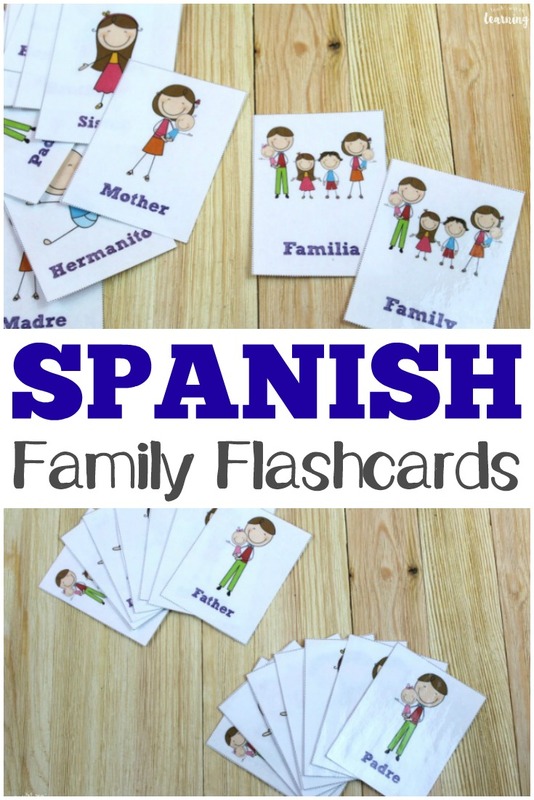 You’ll receive access to these printable Spanish flashcards, plus lots of other printables, in our exclusive Subscriber Library!